First, let's start with a giveaway of one of our books, TOUCH OF WHIMSEY, offered by one of our friends, Kelly Jackson on her blog, I HAVE A NOTION. 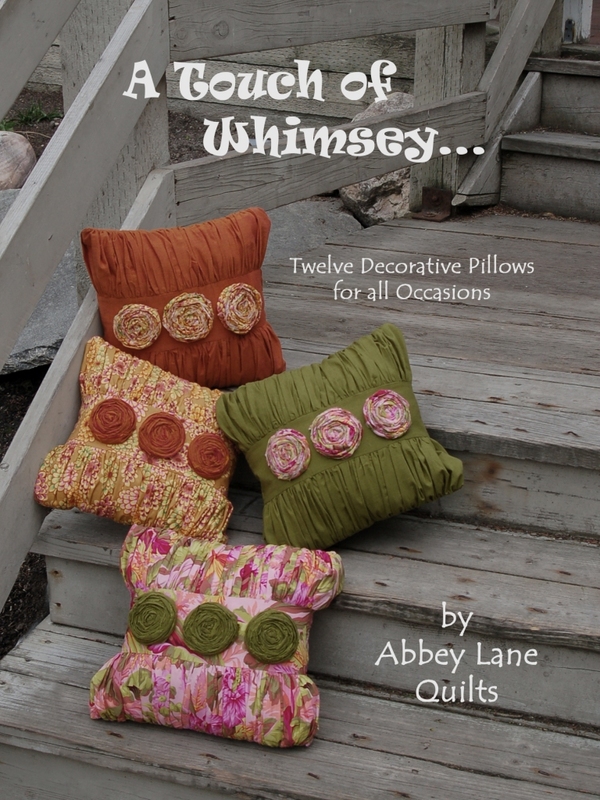 She has a great blog full of ideas, and the ideas she had with our pillows were so fun. 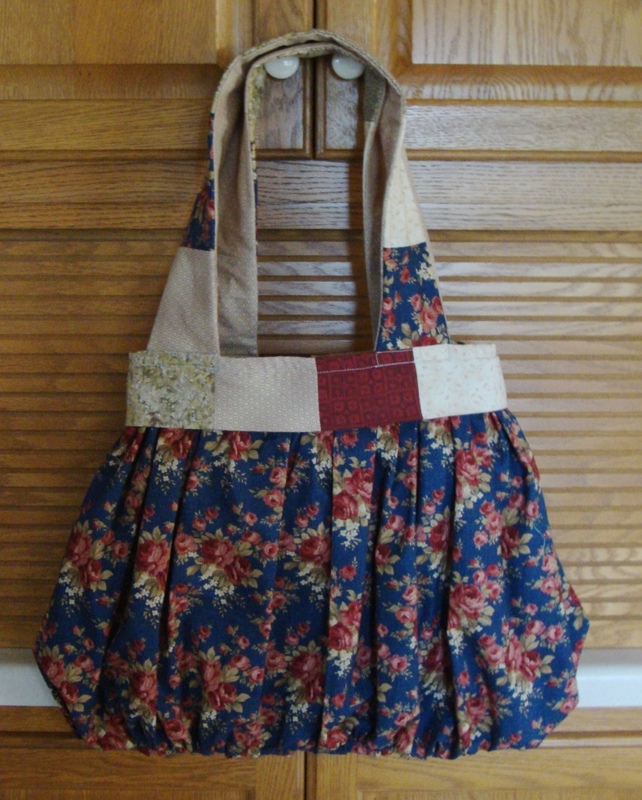 We always ask you to send us pictures of your finished projects and we get so excited when you do. Here are a couple of your finished projects using our patterns. 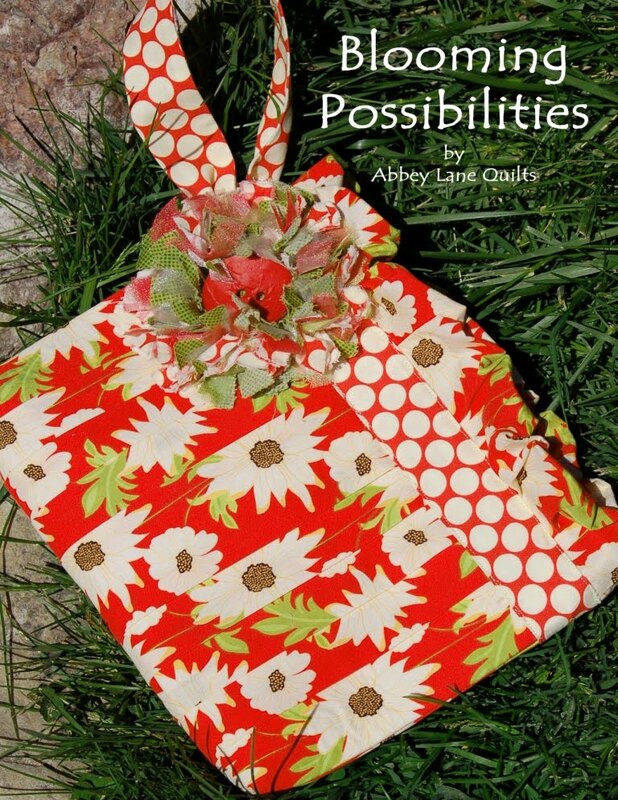 The best part for us is when you use our pattern as a stepping stone for your own creativity. At the end of the pattern you asked for pictures. 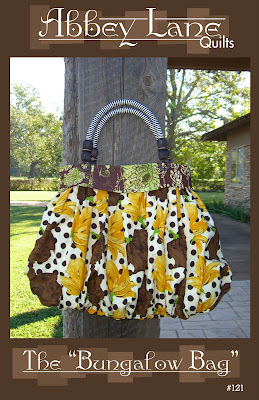 Well, attached is a variation of the Clarabella bag for summer. 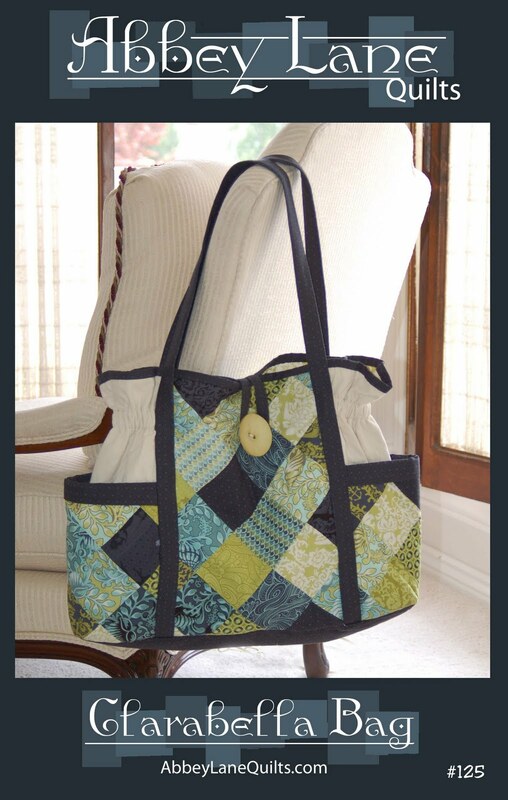 The quilted part of the bag is the dissapearing nine patch. What do you think? Thanks Tracy, I loved it so much, I asked if she would make me one. Here is our version. 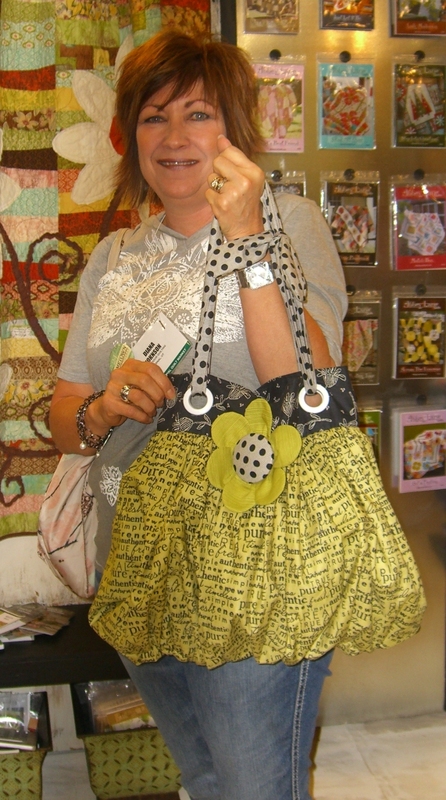 We met at International Quilt Festival in Houston. I love your patterns, and attached you will find two pictures of the "Bungalow Bag." I call this one "Lilac Spring." 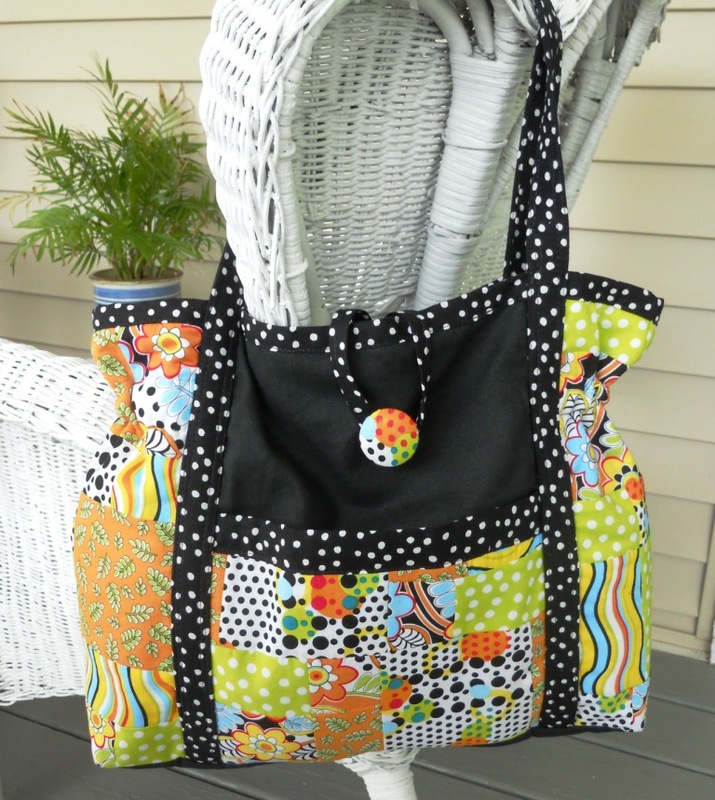 Anway, the beaded handle was a good color match and I bravely added a zipper. I am tickled pink (or should I say lilac) with the way it turned out ! Thanks Anny, and how great that she named her bag. Joyce Dove of Granville, Illinois sent us the picture a long time ago. She said she would be making more Bungalow Bags so hopefully we will get more pictures. Finally, a lady came up to us at Quilt Market in Salt Lake City to show us her version of the BUNGALOW BAG. She added gromets and a big flower and used one of my favorite all time fabric collections. We were so busy I forgot to get her name, but I did get pictures. Last, and I think my favorite. 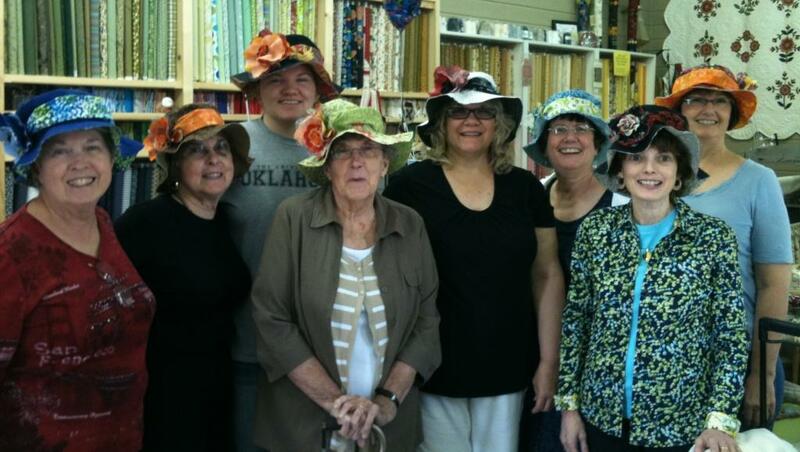 We got this picture from QUILT SAMPLER, a shop in Tulsa. 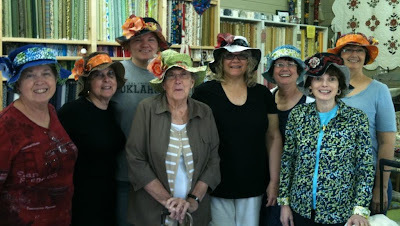 This group of ladies belong to RUBY'S REMNANTS FAMILY GUILD and this is what they did at their retreat. The hat pattern is in our BLOOMING POSSIBILITIES book. I just can't stop smiling everytime I see them. 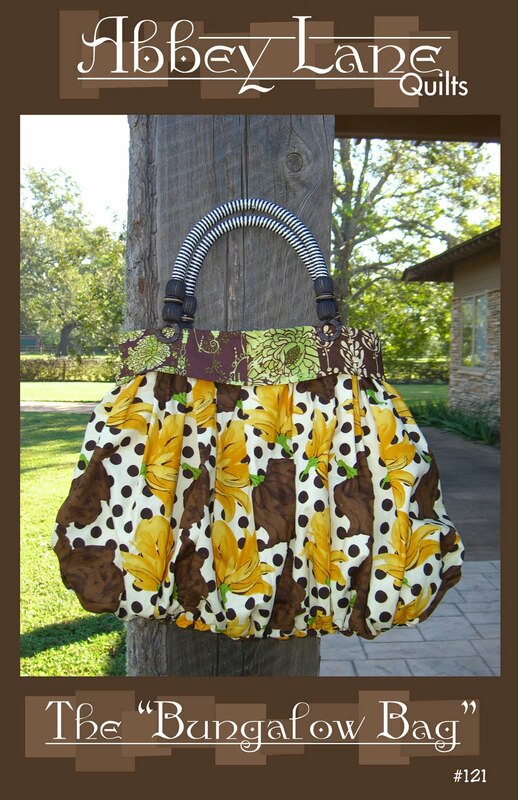 The bungalow bag in brown and yellow is adorable. 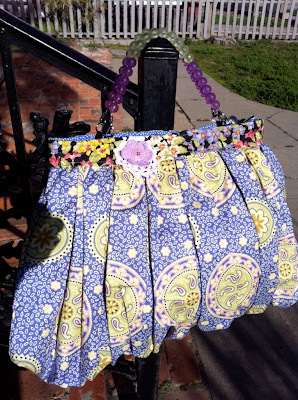 SEW creative! I love the pillows. My husband doesn't understand why we need so many pillows, but he's learned to live with it. lol.